If you are a fan of the Assassin’s Creed games or movies, you will absolutely want to collect everything related to the series. 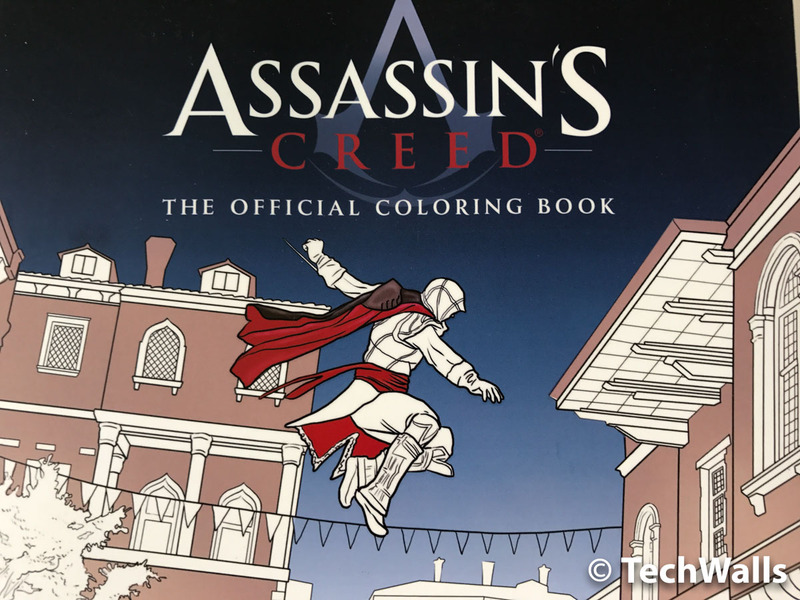 Assassin’s Creed: The Official Coloring Book is one of my recommendations since it features concept arts of every Assassin you’ve seen in the games. Besides, you will also revisit memorable locations and scenes, for instances, Ezio on a flying machine or the battles of the Revolutionary War. 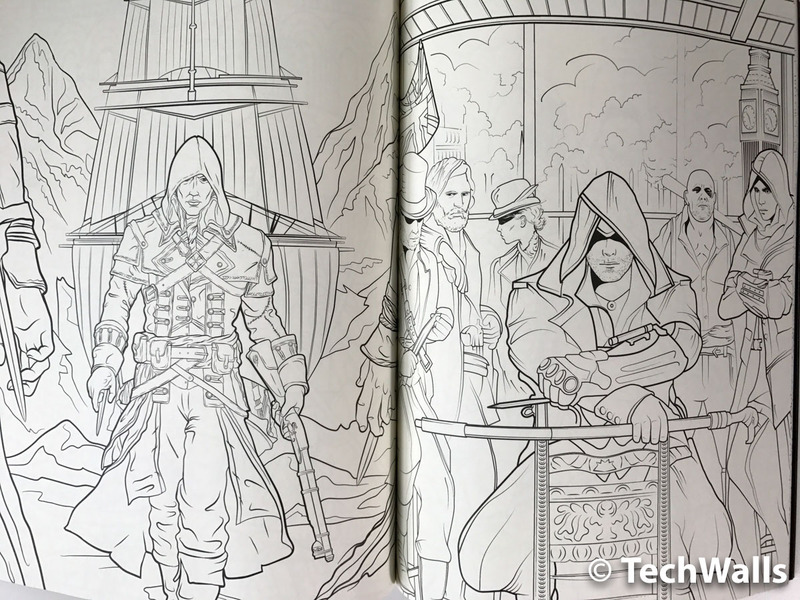 There are 80 pages of illustrations from the games, so you will be able to spend a lot of time coloring this book. However, as there are pictures on 2 sides of a page and each page is not really thick, I’d recommend you to use color pencils only. Using markers or watercolor brushes could damage the paper or ruin the illustration on the other side. Apart from black and white pages, there are also some colored pages on glossy paper at the end. They look stunning and you will have an idea for coloring the book.